After twelve years of tough negotiations, Iran and the states of P5 + 1 group (China, France, Russia, the United States, the United Kingdom, and Germany) have reached an agreement to limit Iran’s nuclear program for peaceful purposes. In return for Iran’s close cooperation in this matter, the P5 + 1 countries have opted for the gradual elimination of sanctions against Tehran, which have been imposed in recent years by the UN, the United States, and the European Union. The agreement itself is a success for world diplomacy, but it has also caused a degree of controversy. The successful end of negotiations is just the end of the first stage; the long process of efforts to implement its provisions still lies ahead. This process will undoubtedly be affected by the development of the international situation and the distribution of forces on both the Iranian and American political scene. The original deadline for reaching an agreement, scheduled for June 30, 2015, was not enough to dispel any issues between the P5 + 1 group and Iran. July 7 brought similar results. Negotiations dragged on, and although another ‘rigid’ date was not set, every day one could sense impatience on both sides of the negotiating table. Nonetheless, continuation of the talks signalled good will on the part of the countries and diplomats to achieve a consensus. With the announcement of the agreement, representatives of the P5 + 1 have given proof that world powers, despite differences of opinion, are still able to work out compromises essential for global security. Although particular interests and visions of world order of individual members of the P5 + 1 significantly differ, which manifests itself in many regions of the world (including Ukraine, the South China Sea region, Syria), they managed to jointly solve one of the most controversial issues. The scale of the success was further underlined by the fact that the other side of the negotiating table was represented by diplomats from a country which also has regional ambitions and its own specific vision of the world order. Iran, with its reserves of gas and oil (second and fourth place in the world respectively), is a key emerging market for the weakening world economy. There were no major problems in reaching agreement on the elimination of most economic sanctions. The process of abolition of sanctions will rely on Iran’s close cooperation with the International Atomic Energy Agency (IAEA) and on adjusting specific activities in the field of nuclear program to the guidelines contained in the 159-page long text of the actual agreement. The evaluation of Iran’s activities, which will be crucial for starting the process of abolishing further sanctions, will remain, which is important, within the responsibilities of the IAEA, i.e. an international body. Elimination of restrictions resulting from sanctions will be a long process, and in some areas will take many years. For example, no cooperation of defence industries with the armaments sector in Iran will be possible for at least five years. It should be stressed how serious during the negotiations was the issue of the embargo imposed on Iran by the UN regarding the supply of conventional weapons to Iran, especially missiles. Iranian negotiators pushed for releasing Iran from this limitation, referring the matter strictly to conventional weapons, not to nuclear issues. Meanwhile, Western representatives expressed concern about the fact that Iran’s missiles could be used to carry nuclear warheads. A social factor is undoubtedly an important element in the context of the agreement. Iranians welcomed the success of the negotiations with great joy, which manifested itself in a public celebration of this event on the streets of Iranian cities. It should be noted, however, that conservative circles in Iran also raised their voice. They perceive the agreement as a western fraud and are hesitant about the process of rapprochement with the West. The particularly long and gradual process of abolition of sanctions has been subject to criticism. What is going to happen as a result of the upcoming elections in Iran itself will also be important for the further fate of the agreement (parliamentary elections will be held in 2016, while presidential elections will be held in 2017). Still their result seems to shift towards the camp in favour of reforms, which gave Iran a chance to get out of international isolation. Voices calling for ‘dismantling’ the agreement are also heard, which could be expected in Israel and in the Republican-dominated U.S. Congress. Critics of cooperation with Iran emphasize that in the Iranian streets one can still hear the cries of ‘Marg bar Amrika!’ (literally ‘Death to America!’). Authorities of Saudi Arabia and other Arab monarchies of the Persian Gulf sub-region, which are involved in regional rivalry with Iran, also proved sceptical. Strengthening Iran is also a signal for the neighbours of Iran and for the countries in the region (Saudi Arabia, Israel) that have other visions of the Middle East. Although President Rouhani stressed that strengthening Iran should be interpreted as a strengthening of the whole region, both Riyadh and Israel would not believe in such assurances. It is the authorities of these countries, as well as some politicians from the U.S. Congress, who will challenge the agreement, and seek to maintain sanctions. Therefore, it cannot be concluded that the agreement has satisfied all parties. Of course one should not entirely reject the Republicans’ argument. Iran, which is well armed, with a growing economy and free from sanctions, could pose a serious threat to U.S. interests in the region. It is just enough that conservatives unexpectedly win elections in Iran, and the sense of the agreement is in question, also for many moderate observers. But what is far more likely is that the next president of the United States might be a representative of the Republican Party, which will certainly strengthen the support for Israel. Iran and the U.S. also have common goals in the region. The common enemy is, for example, the greatest terrorist threat to world security i.e. the so-called Islamic State (ISIS). It should be noted, however, that the future shape of Iraq and Syria after a possible defeat over ISIS is already a very different vision from the point of view of Tehran and Washington. A strengthened Iran would undoubtedly continue to build a ‘Shiite zone’ in the Middle East. Tehran’s foreign policy pillars would be supporting Assad in Syria, helping Shiite militias in Iraq in the fight against ISIS, and supporting Shiites in politico-religious conflicts in Yemen, Lebanon and Bahrain. Iran’s success in these places is equivalent to weakening influence of not only a regional rival – Riyadh – but also the United States. Iran’s rapprochement with the West? In the troubled Middle East, Iran is a curious state, perhaps the most politically stable at the moment. Adding to the powerful possibilities of developing a market of nearly 80 million people and the strategic location adjacent to Central Asia and South Asia, on the way from Europe to the Far East (the former Silk Road), Iran has everything to attract investors in the coming years, and make real progress in development. There are also natural resources that may become an alternative to Russian sources. Freed from a sanction regime, Iran has also all the advantages to become an engine propelling the economy of at least a few other countries, beginning from Afghanistan. The political directions Tehran has been following seem to be key here, and they suggest that the West would not be the only beneficiary of the process of the completion of the long nuclear dispute with the Islamic Republic of Iran (IRI). Specific events are a clear evidence of this trend. In early July President Rouhani visited Russia, and participated in the BRICS summit (Brazil, Russia, India, China and South Africa) and Shanghai Cooperation Organization (SCO) summit. SCO representatives already announced that the lifting of international sanctions against Iran is the main condition for the country to join an organization which, although it is not a military alliance, was described a few years ago as ‘anti-NATO.’ Those who perceive the agreement between P5 + 1 and Iran solely as the approximation of Tehran and the West are likely to be disappointed, because after the agreement Iran will open to partner with Russia, China and other Asian countries, and this directions seems to be a priority for the IRI authorities. Iran – Poland: revival of the relationship? Building stronger economic relations with Iran is important for Poland, as Poland might be an ideal partner for the Iranians in many branches of its industry. Competitive pricing and high quality of Polish products will play an important role here. Such cooperation would allow Polish companies to successfully compete in the Iranian market, even with Western corporations. It is extremely important to take swift and decisive action. While Poland has enjoyed with Iran more than 540 years of historically good relations, it must be admitted that today Poland is seen as one of the less important countries of the West. This image might quickly be changed through economic presence and through an appropriate cultural policy. In the future Tehran may be one of the most important partners of Warsaw in the Middle East, as well as an alternative to the energy challenges. The agreement with Iran is a success of diplomacy of world powers. It serves of proof that possibilities still exist to solve global issues effectively without falling into armed conflicts. The opening to the world Iranian market has the potential to seriously revive the global economy. Implementation of the agreement largely depends on the political scene of Iran and the U.S.
Efforts should be made so that the states ideologically conflicted with IRI do not feel as victims of the agreement. 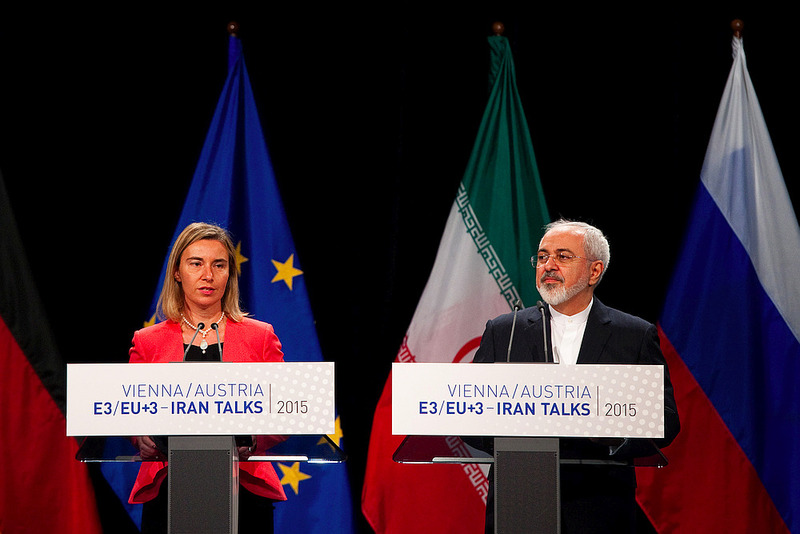 The agreement should not be seen only in the context of Iranian-Western rapprochement. Iran will revive its relations with Russia, China and other Asian countries. Iran, although it is the biggest winner of the lengthy negotiations, will be for a long time forced to work fully transparently, and Western countries should continue to closely monitor Iran’s nuclear program. After the success, P5 + 1 group should start tackling, with equal determination, other burning global issues, for example, the issue of the so-called Islamic State, and work on finding a diplomatic solution to the conflicts in Syria and Libya, and in the future maybe even in Ukraine. In the coming months, Polish authorities, in particular the Ministry of Economy and the Ministry of Foreign Affairs, should develop an economic strategy to respond to the situation where Iran is returning to the arena of the world economy.